Fortunately for those around me, my musical "career" has long been over. But at one time, I was a trumpet player. Those of us who attended Eugene Ware Elementary School in Ft. Scott, KS in the 60's and 70's had the privilege of knowing Mrs. Purcell. She was our music teacher and the director of our school orchestra. 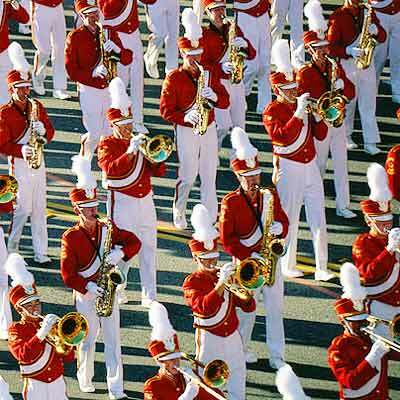 Not just a band, but an orchestra - violins, tympani, and all the rest. And in the fourth grade, I joined the orchestra as a trumpet player and began taking lessons from Carl Clinesmith, one of the most beloved men in our town. When I was in high school, Mr. Clinesmith retired and I began to take lessons from Neil Smith. Neil was a few years older than me and had played trumpet through college before settling in Ft. Scott to start his career. 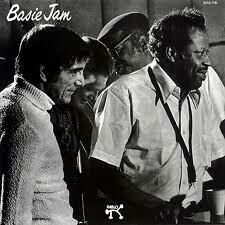 One day, Neil loaned me a record called Basie Jam. It was my introduction to jazz and I have loved it ever since. Even in high school, when I went to bed I would tune the radio to KANU from the University of Kansas to listen to "Jazz in the Night." I still listen to jazz. I love Miles Davis, John Coltrane, Dizzy Gillespie, Sonny Rollins, Dave Brubeck, Duke Ellington, and (of course) Count Basie. Over the past few years, I have come to realize that life lived in step with the Holy Spirit is a lot like jazz. I'm not the only one to think these thoughts. Robert Gelinas wrote a book called Finding the Groove that develops this idea in more detail than I will. My friend, Tim Hudson, wrote a post on his blog called The Jazz Paradigm that also hits on this theme. And what I write will draw from both of these men. But in these Friday posts on Spiritual Formation, I want to develop some thoughts on the spiritual life that tie in to what I love about jazz. 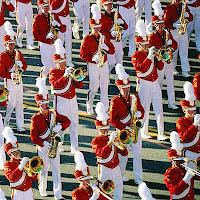 I believe that many folks think of the Christian life more as a marching band than a jazz ensemble. It is about marching together and staying in step and staying in line. It is structured and rigid. And though it can be beautiful and amazing, the lines are pretty clearly drawn and everybody knows when you get out of step. It is about making music as a unit and in a way that typically doesn't emphasize the individual. And there is nothing wrong with any of those things. But when they are applied to the Christian life (and many bring those attitudes into the Christian life), it can become stifling. I think there is a freedom - an improvisation - that comes from a life lived in step with the Spirit. There is discipline and there is structure, but there is also freedom to improvise and follow the call and leading of the Spirit. And I think many are missing that. Hopefully this will get you thinking. Next week, we will pick up with the disciplines of jazz.